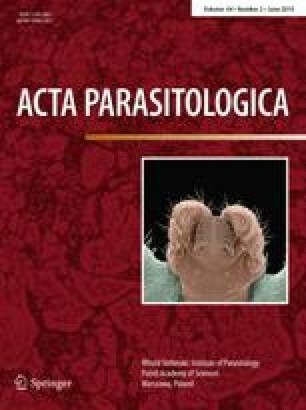 The genus Baylisascaris (order Ascaridida) includes numerous relatively host-specific nematodes, which are common in intestines of wild mammals. Some of them may have impact on veterinary and public health, as their larvae have the potential to cause visceral, ocular, and/or neural larva migrans in a wide range of mammals, birds, and humans. Baylisascaris transfuga is a parasite occurring in a range of bear species throughout the world. We present the current data on B. transfuga occurrence in brown bears from a relatively restricted territory of the Poľana Protected Landscape Area in Central Slovakia, obtained by traditional methods (faecal examination, morphology). Species affiliation was confirmed by employing molecular markers generating nuclear 28S and mitochondrial cox1 sequences in adult worms. Based on 17 examined samples (15 excrements and two intestines of young bear females), the occurrence of B. transfuga in the surveyed area was assessed as 52.9%. Both bear females were infected with adult and juvenile worms. Due to the high density of bears in the locality, the high infection rate with ascarids, and the huge number of eggs produced by the parasites, it is apparent that the respective environment, including the inhabited areas, might be markedly contaminated by Baylisascaris eggs. The ability of B. transfuga to serve as a zoonotic agent has not been unambiguously proved; however, this attribute should be considered and subjected to further research.